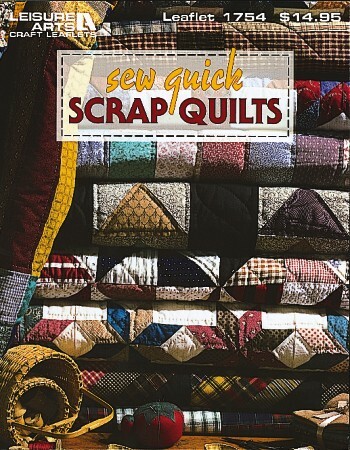 Whether you've made one quilt or a hundred, you probably have lots of leftover fabric. With this book, you can fashion all of those bits into wonderful projects. Get these time-saving techniques for 14 beautiful quilts created from those fabric scraps. Designs include everything from simple square patches, to stars, strips, flying geese, pinwheels, schoolhouse design, churn dash and more! 95-page soft-cover book.